Ever wonder if the foods you’re eating are good for your teeth? 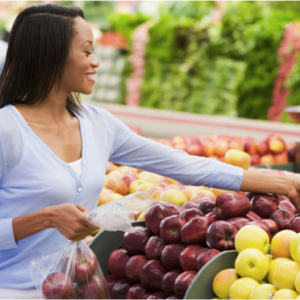 Odds are you’re more worried about avoiding the foods that may damage or rot your teeth. Here are a few surprising foods that can actually help improve your smile. • Milk and Yogurt: High calcium content strengthens teeth and makes the enamel healthier and whiter. • Pears: Aside from their sweet taste, pears have the capability of neutralizing odor-causing and staining bacteria as well as help wash away food debris with its juicy interior. Is Removing Your Wisdom Teeth Wise? Man’s jaw size has steadily decreased over time throughout evolution. As our diets of raw meats and plants have evolved into more processed and cooked foods, the size of modern man’s jaw has decreased and the need for 32 teeth has decreased as well. These factors often cause our last set of molars known as your wisdom teeth to have no room to erupt properly in alignment with your gums and other teeth. Some people genetically are missing one or more wisdom teeth. 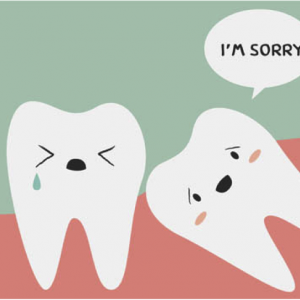 Other people’s wisdom teeth stay completely impacted or buried in the jaw never erupting through the gum. And yet other people (the majority) have wisdom teeth that partially erupt, never achieving a stable position or fully erupt in an unstable position. A wealth of scientific research has now proven that your oral health directly impacts your overall health. Periodontal or gum disease has now been classified as a major risk factor for cardiovascular disease, stroke and diabetes. Poor oral health can affect GI disorders and also lead to low birth weight babies in pregnant women. A compromised ability to eat will adversely affect your nutritional status which in turn can cause or aggravate multiple medical conditions.